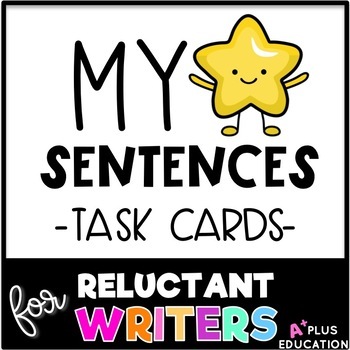 This engaging and easy-to-use set of Task Cards offers a clear visual of the sentence structure, building the student’s confidence, adding diversity and interest in their writing, improving their creativity by expanding and producing their own sentences and creating a strong foundation before they move on to paragraphs. 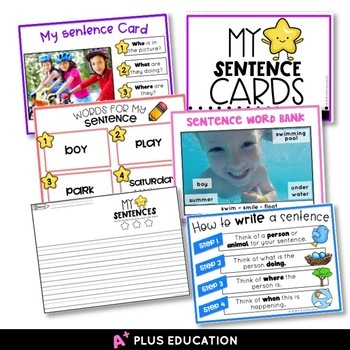 This set is differentiated for all learners in kindergarten, 1st grade, 2nd grade, intervention, emergent writers, struggling writers and it is also suitable for Especial Education, ELL and Speech Therapy. It includes two differentiations and two line versions: single lines and primary lines and reinforces the use of capital letter and period at the end of a sentence. Click on the ★ above to follow my store and be notified when new products are uploaded. New products are always 50% off for the first 24 hours they are posted.